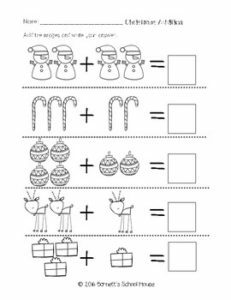 Try out this sample of my Christmas busy work packet!!! You’ll love it!!! Hop on over here to find more! So far the growing pack includes content that covers sounds, letter recognition, blends, matching, counting, addition and subtraction, beginning sounds, and making tens. FOLLOW me on Teachers Pay Teachers! FOLLOW the Barnett’s School House BLOG! As always, please download my sample and ask any questions prior to purchasing! Thanks for browsing!